Jesse Lafian’s idea promotes more efficient soil irrigation. Caleb Adams and Graham Grable’s idea translates high-performance computation into everyday uses. And UGA’s Entrepreneurship Program helped these ideas go from hasty math—on a napkin in Adams’ case—to viable prototypes. Approximately 400 students have learned how to manage those risks through the university’s Entrepreneurship Certificate Program, according to Pinckney. Many, like Lafian, Adams and Grable, also use other entrepreneurial initiatives at UGA to further develop their ideas. “The program is very experiential, and the various program options are an integral part of the experiential learning experience available to students at the University of Georgia,” Pinckney said. 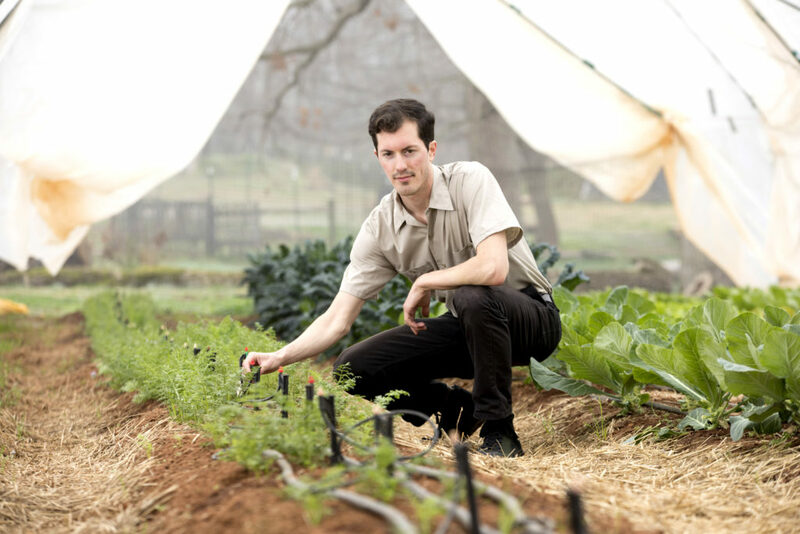 Lafian, who received his Bachelor of Science in agriculture in 2017, put his initial idea—a soil moisture sensor first mentioned in a soils and hydrology lab—through UGA’s Idea Accelerator, an eight-week “business boot camp” that takes place twice a year. His idea also went through the university’s I-Corps program, an intensive six-week program to help teams identify, test and validate customer segments and arrive at a value proposition that fits their product and market. Lafian said the funding he received through I-Corps was crucial because it allowed him to go to trade shows and talk with potential customers. “That is the heart of being an entrepreneur, in my opinion—allowing someone to tell you about their problem without you trying to show them your solution,” Lafian said. Those conversations led to a pivot. Now, Lafian is focusing his company, Reservoir, on creating valve attachments that allow landscapers and horticulturists to control valves remotely and wirelessly, saving time and money. Reservoir recently closed a seed round with Macon-based Central Piedmont Investment Group that will allow the company to complete field tests with 10 clients. Adams, who graduates with a Bachelor of Science in computer science this year, and Grable, who also graduates this year with a Bachelor of Science in mechanical engineering, took part in UGA’s Summer Launch program, where four to six teams receive a dedicated workspace and $5,000 to grow their business and compete for an additional $5,000 at the end of the program. They’ve worked on their mission, the Multiview Onboard Computational Imager, since 2015. It has a high-performance computation unit and graphics processing unit on board. The goal is to take the type of technology that is used in autonomous driving and put it into space, where data transmissions tend to lag. It will allow analysts to retrieve data faster, such as photographing a mountain and reproducing a 3-D model of it. Their project is in Phase B with the Air Force Research Lab, and they will continue their work with a $750,000 grant through 2020. Adams and Grable also recently co-founded Hyve Robotics, which will focus on building autonomous robotics systems. For their first venture, they partnered with Cosmic Delivery, another product of UGA’s Entrepreneurship Program founded by Trent Walls and York Delloyd, who both graduate with computer systems engineering degrees this year, on autonomous food delivery. According to Grable, their experience in computation and satellites translates easily into robotics systems. “This is where we can take our experience in the lab and translate it into something that can be easily commercialized and used on a wide scale,” Grable said. Lafian and Adams also participated in UGA’s Next Top Entrepreneur competition. During this event, teams pitch their existing business plans or business idea in front of a live audience and a panel of judges. At the end of the competition, one winning team is awarded $10,000. Lafian took the top prize in the 2017 competition, and the 2018 competition is set for April 12 from 5-8:30 p.m. at Hotel Indigo’s Rialto Room. The event is part of Athens StartUp Week, April 9-13. “I think you should look at all of your opportunities and constantly pick the best one to move forward,” Adams said. “The University of Georgia is really good at being able to provide opportunities for entrepreneurs or anyone, really, to do something cool,” Grable added. UGA’s Entrepreneurship Certificate Program prepares students to become successful and dynamic entrepreneurs in private, public and nonprofit sectors. It is open to all UGA undergraduates with at least 30 credit hours and a 3.0 GPA. The program is 15 credit hours—nine in the Terry College of Business and six in electives defined by the student’s school or college. Starting in fall 2018, 40 incoming freshmen will have an additional opportunity to network with fellow entrepreneurs. Two wings of the fourth floor of Creswell Hall will be turned into The Launch Pad, a living/learning community dedicated to entrepreneurs. A co-working space with 3-D printers to build prototypes will be added to the lobby. These students will go through an application process and eventually be admitted to the Entrepreneurship Certificate Program.